Ganley Toyota is your source for new 2019 Toyota Yaris sedan for sale in Akron, Ohio! The 2019 Yaris delivers stellar value and efficiency, plus practical features and sporty style. With its base, starting MSRP* of $15,450, the new Yaris sedan arrives in three trim models. Jump into a 2019 Toyota Yaris to enjoy standard features like the 7'' touchscreen and Bluetooth wireless technology with hands-free phone capability. Turn to the LE trims for convenience amenities like cruise control, remote keyless entry and audio controls on the 3-spoke steering wheel. The range-topping Yaris XLE trim takes style and performance to new heights in the Yaris line, thanks to 16-inch machined alloy wheels, leather seating and a leather-trimmed steering wheel. No matter which version of the 2019 Yaris you choose, you will enjoy exceptional value and features for your money! Schedule a test drive of the new Toyota Yaris then make the short drive from Cleveland or Brunswick, Ohio to our Toyota dealership in Akron, OH! Available Trims: L, LE, XLE. 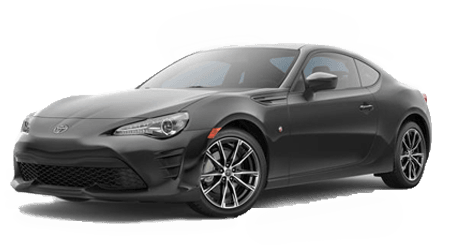 Our new and pre-owned Toyota dealership in Akron, Ohio is here to assist you with finding the Toyota automobile that you are dreaming of driving home. When you are ready to experience the roads of Akron and Cleveland, Ohio and behind in a new Toyota like the Yaris, see our sales associates, who will review your options and our competitive prices! If you are contemplating whether to buy or lease, then speak with our finance staff about your options. You can contact us and even apply for auto financing online! After you drive home one of our new Toyota vehicles in stock, remember that our service department will keep your Toyota running in optimal condition with regularly scheduled maintenance. When your 2019 Yaris or other Toyota is due for an oil change or new set of tires, book a service appointment with our Toyota service specialists. Shop Ganley Toyota serving Brunswick and Cleveland, OH today!